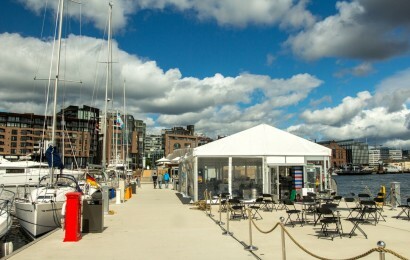 Aker Brygge Marina has created a new hub for Aker Brygge, which is Oslo’s premier seafront visitor attraction. It was built by Marinetek in a single phase using 5 m-wide Super Yacht Pontoons and 5 m-wide breakwater sections. The Super Yacht Pontoon, used in projects such as Palm Jumeirah Marina and Port Hercules, was launched in Scandinavia via this project. 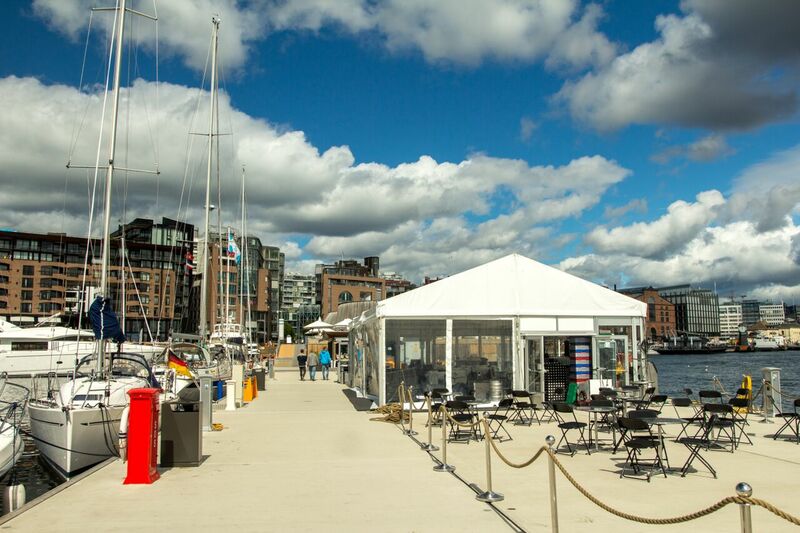 Aker Brygge features a generously proportioned 15 m wide floating main walkway with a 5 m wide pontoon extension. 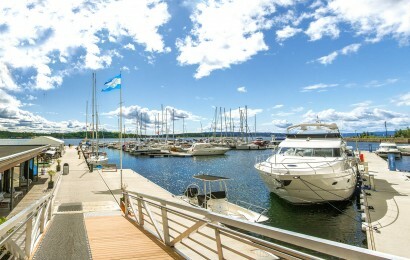 All berths within the marina basin are 3 m in pontoon width with mooring fingers. Work was undertaken in co-operation with Marinetek’s Norwegian distributor, Nordocks, and all pontoons were manufactured at Marinetek factories in Finland, Sweden and Latvia. Production started in June, installation commenced in October and completion was achieved to schedule in December 2013. 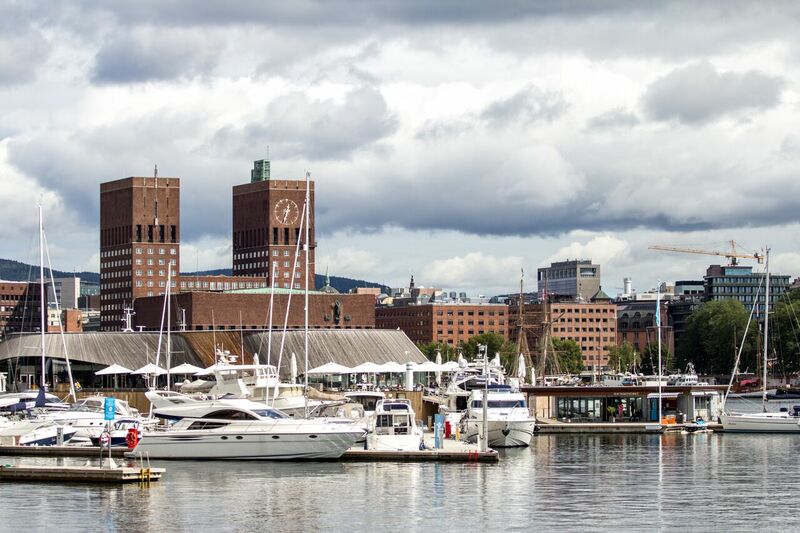 The Aker Brygge site attracts around 12 million visitors every year and is thus a very high profile showcase for Marinetek. Capacity of the marina: 240 berths up to 23 m.
Products: 5300K Series Breakwaters, Super Yacht and Heavy Duty Pontoons, Mooring Fingers. Delivered by: Marinetek Finland with Nordocks AS, Norway. Specialities: Rolec power pedestals, 15 m wide main walkway. 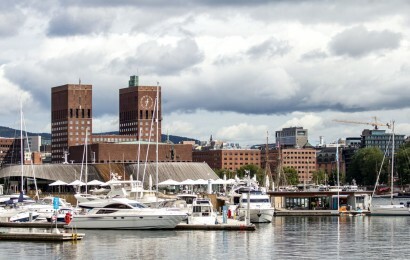 Aker Brygge Marina was the biggest marina project in Europe in 2013. The location in the heart of Oslo is hard to beat and 12 million visitors head to the site every year. 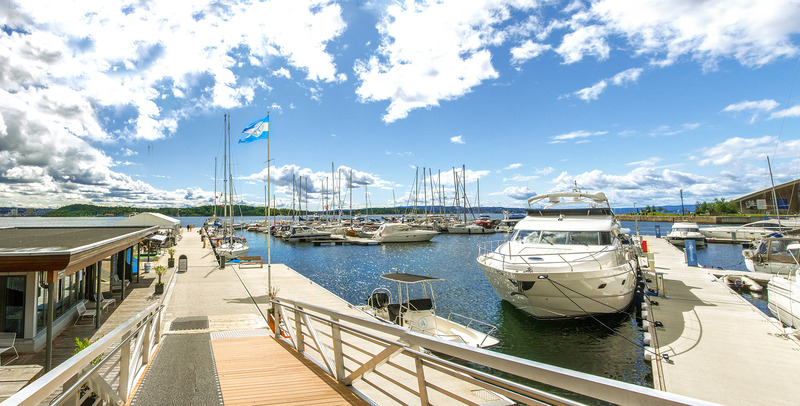 Aker Brygge features a 15 m wide floating main walkway constructed of 5 m wide Super Yacht floats that form a huge 1 500 m² terrace. The terrace, with its café, is a fabulous new open leisure space for locals and visitors to enjoy.